Please read this post for all the information related to our PVP tournament, server modifications in play and in-game commands that will help you win! During the contest, you may break/destroy/steal/kill anything that you see. It will be helpful to make alliances and discuss the final map and places to meet as well as strategies to execute. But remember, only 1 person wins each prize. The prizes will be given out in either the next game world/map/server mode.. or- at the beginning of next tournament- choice of prize winner. Check your email for the Minecraft server IP address if you don’t already know it. A Mumble server runs there as well for voice communications. As there are children playing, please refrain from swearing, racial slurs and any other objectionable behavior. You will be demerited 5 points for each swear word and will be kick-banned for excessive bad behavior as determined by the server log. DIAMOND prize of bragging rights and high-level multi-enchanted diamond pick determined by highest (player kill/player death ratio)- meaning this only counts being killed by or killing another player. Determined by server log. GOLD prize of name in MOTD, announced on blog (optional) and choice of server mode/map until next contest ( ( kills * 5) – (death from any source) ) + (mcMMO power level) = final player score. ** mcMMO power level can get very high, so winning this prize will require some grinding without getting killed a lot. IRON prize of weekly wish will be granted for whoever wins best hideout; as determined by player vote. A wish will be the ability to gain 1 item ID of choice, once per week on Survival/PVP. On creative mode, wish entails gaining the ability of user teleport at all times. To win IRON, you will need to take a screenshot of your hideout with map coordinates visible and submit your best picture at the end of the month. Also there will need to be surviving evidence that this hideout was built on this server to win, but it won’t have to survive intact until the end of the contest. STONE prize = (most playtime and least kills) – suit of unique enchanted armor and bow at the beginning of next contest to help you along next time. Tentatively this will be a mid-level enchanted bow, gold helmet, iron chest plate, leather leggings and diamond boots. Determined by server log. The tournament starts at 6:00pm eastern time on February 3rd, 2012 and lasts until the 29th of February at midnight. I wanted to give everyone a somewhat fair chance to get on and play at the same time instead of giving advantage to people not having to be at work/school. AntiX-ray and seed obfuscator is in play to help prevent cheating. WorldBorder has been set at 450 blocks radius from world spawn to keep people from getting too far away from the action. Using Nether portals to warp outside of the PVP zone is possible, but you will be pushed back to the play zone so be careful if you play with Nether portal worm holes :). 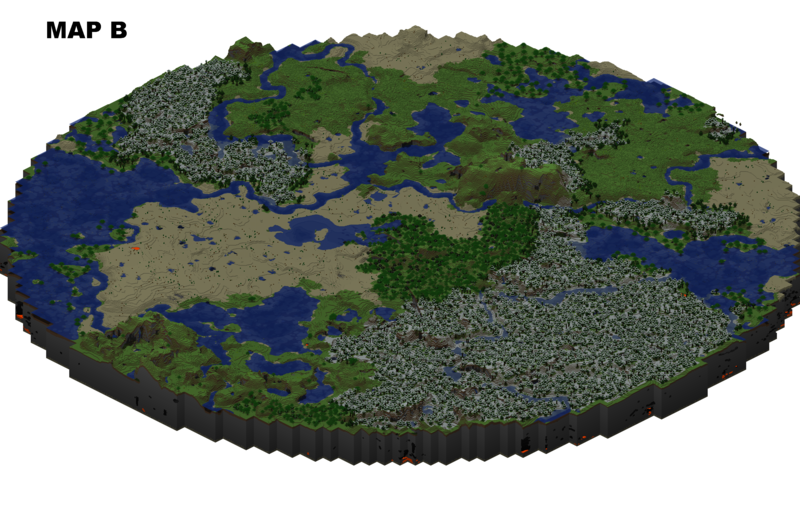 The Ender Zone is also available on this PVP server. mcMMO takes core Minecraft game mechanics and expands them to add an extensive RPG experience. mcMMO adds eleven skills to train in and level in, while also offering a high level of customization for server admins. There are countless features, including custom sounds, graphical elements, and more added when running mcMMO in conjunction with Spout. You can get it at http://get.spout.org — remember to use the ‘latest reccomended version build’ in the options when you load up Spoutcraft. Unique Skill Abilities such as power attacks, parrying and moves that can unarm oponents. Spout automatically patches your client for HD textures such as SummerFields and runs on Mac, Linux and Windows. It will also allow you to run single player mods in the future such as MoCreatures on our Minecraft server in the future without you needing to do any work on your end!